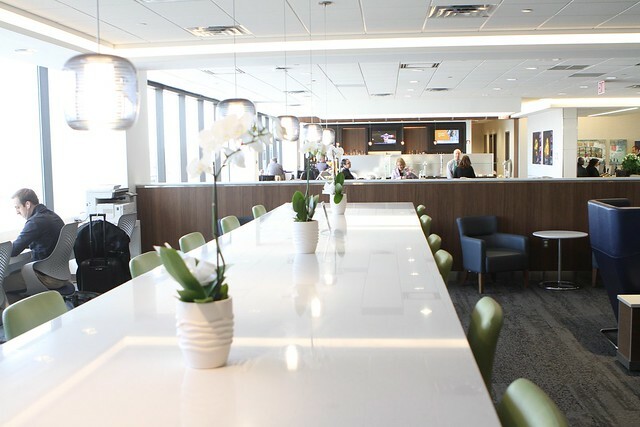 On the heels of Delta’s recent expansion at Raleigh-Durham International Airport, the airline is unveiling two additional lounge renovations at EWR and MSP. 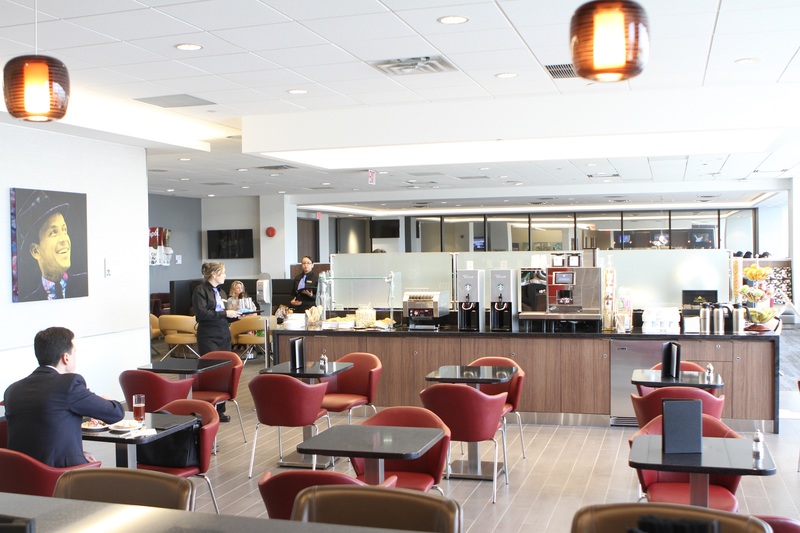 Members and guests traveling from the Garden State can now enjoy an upgraded Delta Sky Club experience at Newark Liberty International Airport (EWR), complete with a brand new food and beverage area and more accessible charging ports throughout the Club. The airline celebrated the opening of the newly renovated Club on Tuesday where attendees sipped champagne and enjoyed hors d’oeuvres, while taking in all that the renovated Newark Club has to offer. The Newark Delta Sky Club is located just beyond airport security in Terminal B, and at 5,600 square feet, the Club offers seating for 160. Meanwhile, members and guests celebrated the opening of the newly renovated Delta Sky Club Thursday at Delta’s second-largest hub, Minneapolis-St. Paul International Airport (MSP). Located between Concourses F and G, the Club boasts an enhanced food service area and self-service beverage area, in addition to Starbucks coffee, more work space and an expanded seating area. At 13,000 square feet, the Club offers 340 seats. In October, Delta announced plans to extend seasonal service between Minneapolis and Honolulu through Labor Day, plus additional flights to San Jose, Calif. (SJC), Phoenix (PHX), and Richmond, Va. (RIC) for the summer. These investments follow 2016 renovations at Nashville International Airport and Dallas/Fort Worth International Airport. Last year, Delta Sky Club opened new locations at Denver International Airport, Concourse B of Hartsfield-Jackson Atlanta International Airport, and Concourse A at Seattle-Tacoma International Airport. The new Atlanta location features skyline views of downtown Atlanta, a unique wine wall and chef-inspired southern fare, while the Seattle club offers the first-of-its-kind in-lounge spa experience with Asanda Spa, runway and mountain views, plus artwork that pays homage to the Pacific Northwest. 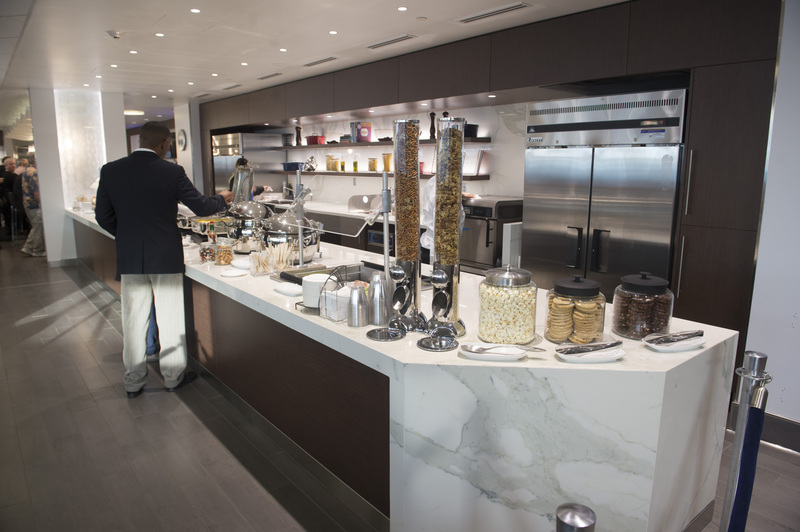 Delta Sky Club also recently refreshed food offerings with more frequent rotations in select Club locations, adding premium bars to its Salt Lake City, Raleigh-Durham and Indianapolis Clubs. In 2016, Delta Sky Club launched miles as a form of payment, allowing members and guests to redeem miles for premium beverages from THE BAR at Delta Sky Club.